A multiple celebration will be enjoyed as the sun sets on November 9 at the Denis Hurley Centre / Emmanuel Cathedral in the heart of Durban. The World Religions in Concert marks the centenary of Archbishop Hurley’s Birth & the Formal Opening of Denis Hurley Centre. 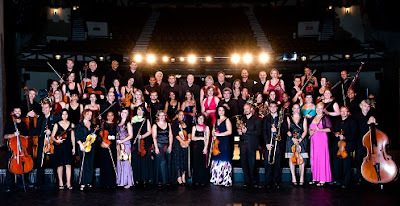 The spectacular interfaith concert features the KZN Philharmonic Orchestra and guest soloists. A one-off spectacular interfaith concert has been created especially for the auspicious event taking place on the actual day of the centenary of Hurley’s birth: November 9, 1915. A full programme of supporting events will take place in the Denis Hurley Centre and Emmanuel Cathedral over the celebration weekend. The concert has been thoughtfully created to commemorate Hurley’s legacy, to celebrate the opening of the DHC and to demonstrate the role of the faith communities in working together on this project. The KZN Philharmonic Orchestra, which has graciously supported this project, will be conducted by Naum Rousine. They will be joined by the Clermont Community and Emmanuel Cathedral Choirs and noted performers including a Buddhist drumming group from Johannesburg; storyteller Gcina Mhlophe and her daughter Kwezi Becker; acclaimed opera singers Linda Bukhosini and Bongani Tembe; violinist and KZNPOs concert master, Joanna Frankel and opera singer Raphael Vilakazi. They will be joined by children of the six different faith groups represented in this event. (African Traditional, Buddhist, Christian, Hindu, Jewish, Muslim). The concert begins as the sun sets with the traditional sunset call to prayer from the neighbouring Juma Mosque; with a response from the church bells; followed by Buddhist and Zulu drums and orchestral pieces of Jewish and Hindu music; Muslim chanting and Christian and African choral pieces will all combine to show the richness of Durban’s musical and religious heritage. The overture has been composed specially for the occasion by KZNPO’s John Walton. It is an evocative piece inspired by church bells and the Muslim call to prayer. The concert rousing grand-finale – to be performed by the whole company - has been composed by Dawn Selby (music) and Themi Venturas (lyrics). The production is directed by Themi Venturas; produced by Raymond Perrier and Paddy Kearney with technical infrastructure by Selby’s. The Denis Hurley Centre is a purpose-made new building alongside Emmanuel Cathedral in the city’s CBD close to the busiest road, rail and taxi hub in the province. This busy multi-purpose multi-faith facility promotes extensive outreach, support, feeding and training for the homeless, unemployed and refugee communities, and provides primary health care as well as community building programmes in one of the most diverse, challenging and impoverished neighbourhoods of downtown Durban. The Centre is the result of years of extensive, committed and participative fundraising. Although construction of the new centre is complete, fundraising is still necessary to further equip, staff and resource the building, and support its myriad innovative projects. The Denis Hurley Centre is a legacy project honouring Archbishop Denis Hurley OMI who was bishop and archbishop of Durban from 1947 to 1992. He played a significant role in opposing apartheid and promoting the vision of a just society. For more info on World Religions in Concert contact concert@denishurleycentre.org. There are limited VIP tickets for R450 which give access to preferential seating and parking and the Cardinal’s reception immediately after the concert. Contact Ailsa Windsor of Going Places: 083 250 2690 or concert@denishurleycentre.org. For more info on the DHC and for the full centenary programme: contact Raymond Perrier on raymond@denishurleycentre.org or 0765 702 497.